First of all I would like to congratulate you to a very fine record which I rank as the best record so far this year in the field of Artrock/Progressive Rock! I have followed you, Porcupine Tree and a lot of all the other stuff you have been involved in through the years and I must say that this is the “proggiest” album you have ever made. There are so many influences from the music from the late 60’s and 70’s. Have you had this idea in mind for a long time or is it just recently you got the idea to do something like this? Well, about the proggy influence I completely agree with you but personally I have problems with the notation “Progressive Rock”. I really don’t know what it means and what it stands for. If you were around at that time during the 70’s, you would have noticed that none of the bands being around then called themselves progressive rock bands. They were simply bands coming out from the late 60’s and they were largely musicians with a non-popular musical background: They were jazz musicians, folk musicians, blues musicians or classical musicians. They saw the possibilities to combine more popular music like Beatles, Beach Boys or those kind of bands with music from their own roots. And that is what we now call Progressive Rock. That’s indeed a very wide field of music. Yeah, there are indeed only two things that are in common for what we call Progressive Rock: 1. Dedication to the music and the album they worked with. 2. The ambition to create a new kind of musical journey or musical hybrid. Apart from that there is nothing really that can be called a typical progressive rock thing. Some people think that progressive rock was about very high quality musicianship but there are many examples where musicians very not very qualified or very skilled but who created music that still is considered as progressive rock. Yes I think we both agree that the term denotes music from a wide variety of styles and musical ambitions. So let’s leave this subject and return to your new album. Yes. I admit that there is a lot of references on the new album to this era of the late 60’s and early 70’s that many people call the golden age of progressive rock music. In that sense it is my “proggiest” album so far. I am thinking very much of the King Crimson influences. I have been working very intensely with remixing of the early King Crimson records lately. When I then came to work with “Grace for drowning” all of that music was kind of buzzing around in my head. I also grew up with that music and I love it. But I have actually never entered into a project with so much of somebody else’s music going around in my brain. When I first came to listen to Porcupine Tree, I got the feeling that bands such as Pink Floyd and maybe Van det Graaf Generator were your main sources of inspiration. I never thought of King Crimson. So did that kind of influences enter later in your musical Life? There were three bands dominating when I grew up as a kid: Pink Floyd, King Crimson and Tangerine Dream. They were my absolute favorite bands. The Floyd influence in my music is probably explained by the fact that their stuff was so much easier to pastiche or emulate compared to the music of the other bands. The Floydy atmospheres were easy to recreate since musicianship is quite simple and structures are quite easy to understand. It’s all about atmospheres, in a way. With King Crimson, it is not as easy, musicianship is much more complex and actually the vocabulary is quite complex, too. It was only, really, when I started to work on their records, that I began to understand a little bit more about the vocabulary they used. The use of jazz, the use of atonality, and sometimes not particularly pretty music – then I am talking about some of their later albums. For me, this is the first time I have really explored the use of jazz. Particularly, jazz in the way it was used by the first generation of progressive rock bands. Because, it is very interesting, if you go past 1980 and look at most of the music made after that year but still called progressive, the jazz element has almost been erased. For the bands of the 70’s, this element was so important; for bands like King Crimson, Jethro Tull and for musicians like Bill Bruford who actually described himself as a jazz drummer. I absolutely agree. We also had a band like Camel which lots of jazzy influences. Yeah, and Soft Machine – a band that was as much jazz as they were rock. And Van der Graaf Generator working with jazz saxophonist David Jackson (also working later with Peter Gabriel). So, I guess that I really wanted to reclaim that part on my latest album. I am really glad about that ‘cause I liked that feature in particular and I hope to be able to hear more of that in the future. Yes I really like jazz but it is not until now that I felt ready and comfortable enough to incorporate that element into my music. I will continue with this. I must say that I am so proud of this record and it is probably the best record I have made. It is definitely something that is here to stay for me. OK, that brings me back to your original influences. You are basically a guitar player. Your style of playing is absolutely more influenced by David Gilmour than by Robert Fripp. Despite this you claim that you have as much of inspiration from King Crimson as of Pink Floyd. Why is that? That’s not entirely true. In fact, it is again just a consequence that it is so much easier to play the Floydy sounds of David Gilmour than it is to play the complex stuff created by Robert Fripp. To be honest, I think I am more inspired by Robert Fripp. Actually, there is a portion at the end of the track “Raider II” that reminds more of Fripp than of Gilmour! Yeah. Over the years, believe me (laugh), I have tried to pick up what I can from Robert Fripp’s stuff but it is not easy. He is a very unique player. I am not suggesting that David Gilmour is not a unique player, because he is, but it is much more easy to understand the way he plays, it’s much more standard blues scales and very straight forward. But Robert Fripp does not play anything straight forward! It is very hard to kind of understand. I think what you say is true, the Gilmourish style comes through more but actually my preference is for Robert’s play. Another central question regarding influences is why you, born in1967 (as stated in the wonderful song “Time Flies”), ever became influenced by progressive rock music? You obviously were too young to be able to listen to it while it really occurred. Like a lot of the kids growing up in the 80’s I had access to my father’s record collection (Note: Steve has dedicated the new album to his father who recently passed away). Even more important was the record collection of one of my best friends’ big brother. He was several years older than me and he had all these records of Hawkwind, Van der Graaf Generator, King Crimson, etc. He had the album “666” of Aphrodite’s Child which we were completely blown away with. So I kind of discovered that music retrospectably by using his and my father’s collection. My father had Pink Floyd “Dark side of the moon” and other classics from that era. So I had access to that music and it felt kind of magical to me. I was growing up in the 80’s and there was some good music (I love Joy Division, Cocteau Twins, The Cure) but it didn’t have that magic or romantic feeling that I found in the earlier music. So, I completely got obsessed by that whole era of music. Let’s now go into some details of the new record. I absolutely adore the first and third tracks of the album, mostly because of the wonderful parts played on the piano. Since I got the promo link with very short notice, I did not know any details, e.g. I did not know which other musicians that contributed. For a moment I thought it was you playing (Steven laughing) but now I know that it is actually Jordan Rudess from Dream Theater who is playing. How did you start working with Jordan? Well, back in 2000 (I think), Porcupine Tree toured together with Dream Theater as opening act and it was then I got to know Jordan. We got on really well. I am not really a fan of Dream Theater, it is not my kind of music, but I was really impressed by Jordan as a person and when I heard him playing the piano it was so stunningly beautiful. So I have had him playing for me a few times after that over the years. Personally, I think the third track “Deform to form a star” is the best track on the album. It is absolutely wonderful and one of the most beautiful arrangements I have ever heard. I get some feelings from the early Porcupine Tree years. Could you tell a bit more about the song? What about the story you tell in the text? I love the mellotron sounds. But I also love real sounds. For example, the drum sounds on this record are kind of bare and raw. The whole philosophy of this album has been to use as much as possible of the organic sounds. In a way the mellotron is very organic, even if it is what is called the very first sampling machine. It has a very organic, quirky kind of sound quality. I would almost put it alongside instruments such as Fender Rhodes, Hammon organ or Grand piano. It has that kind of golden glow that I am looking for. Besides the classical strings and choirs, I have also used lots of the mellotron woodwind sounds on the record (saxophone, flute and clarinet). I have even used some of the sounds that not so often are used, in my case the vibraphone sounds. Another question on the sounds on the new record: From the first track of the album I recognized that you use a lot of the classical mellotron sounds. I really love that. But when I finally got the real album in my hand I realized that a lot of what I originally though was mellotron-created is indeed created with real instruments and musicians in the studio. You use both string arrangements and choirs on the record. And you gladly mix it all with the mellotron sounds. I like this very much. Is that intentional to use more and more of real arrangements rather than sampled sounds? About the uniqueness of the mellotron sounds, I think that for example the string sounds from the classical M400 model (very much used by bands such as Genesis) is not really sounding as real strings. There is something strange with the sound that makes you hear that this cannot be real strings. And yet, it sounds so beautiful. I guess it is this you mean by the uniqueness and the organic feeling about the mellotron sound. Do you agree? This is exactly what I mean. Another example is the mellotron flutes being now famous ever since they were first used on the Beatles song “Strawberry fields forever”. Now a question of another track of the album, “Belle de jour”. It is a very different track dominated by some beautiful playing on acoustic guitar. It reminds me very much of the sounds you sometimes can hear from the Polish guitarist Mariusz Duda from the band Riverside. On his solo project Lunatic Soul II (actually also signed for KScope Music) there is a beautiful song called “Gravestone Hill” and this resembles very much what you can hear on this track “Belle de jour”. Do you have any cooperation or contact with Mariusz Duda? I am afraid that I do not know who you are talking about. I do know that Lunatic Soul is one of the KScope bands but I have no particular cooperation with any of the musicians there. Actually, I am not listening very much to music from today. I prefer the music from the 70’s. I have the opinion that this music can never be “bettered”! So in that sense I am unfortunately kind of ignoring what is going on right now (which maybe is not ideal). So, obviously Mariusz is more inspired by your work and style of playing than the other way around. Another musician from the 70s but one that is still alive and kicking today is Steve Hackett (one of my personal favorites). I noticed that he is playing the guitar on your track “Reminder of the Black Dog”. But what I am curious about is that you actually appear to have used a similar rhythm section on the second track “Sectarian” that is used on Steve’s album “Voyage of the Acolyte (from 1975) Are you familiar with this? Yes, yes, well done! You are absolutely right! It’s strange, you are the first person so far that has spotted this! I even confronted Steve (a very good friend of mine) with this passage of my track and asked him whether he recognized something particular. Luckily he didn’t but you are absolutely right, I was inspired by absolutely this rhythm use by Steve on his debut album. 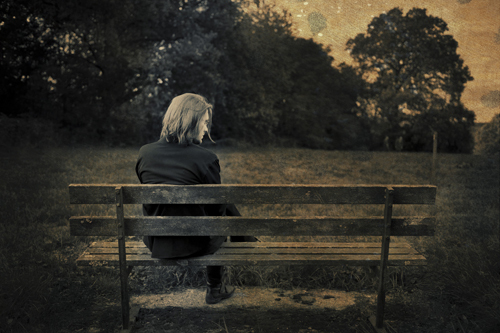 A final question on the new album: The last track “Like dust I have cleared from my eye” is again a song that reminds me of the beautiful songs from the early Porcupine Tree years. But what is most striking is the very last portion of the song. An instrumental part where the sounds just kind of floats away in space. It’s absolutely beautiful and makes such a perfect end of this record. What were your thoughts when creating this? Yes there was a real intention with this ending. I very much want to have a certain flow on an album and this means that it really means a lot how the different parts on an album sound. I really wanted that the album kind of just slowly should fade away, creating pictures very much like a slowly setting sun. So, yes, this was intentional. It is interesting to hear your references to the early Porcupine Tree records. These were also solo albums and now I am kind of coming back to the solo projects again. But I hope there will still be more from Porcupine Tree? Yes, we hope to come together again in the beginning of next year to record a new album. But I am glad for this break to work with my solo project since I thought that we were kind of reaching some stagnation on the previous Porcupine Tree album. So there was a need for a break. Before ending this interview I am just curious to hear some more details about your ongoing cooperation with Mikael Åkerfelt from Opeth. I heard that there is even a special project started between you and Mikael under the project name Storm Corrosion. Could you tell a little bit more about this? Yes, we are actually ready with an album now. I just finished the mixing recently. It is pretty much a work just by the two of us but there is lots of orchestral stuff and other arrangements. It is a very beautiful, surreal and strange record! It will be released sometime next spring. If you have heard Opeth’s “Heritage” (a really beautiful album where I contributed with the mixing) and my own “Grace for drowning” you will find this new record as a natural extension. Thank you very much for this very interesting interview and good luck with all your future projects!